DAN CAPPELLAZZO/STAFF PHOTOGRAPHERNiagara Falls - National Grid employees Jason DeJoe and Chris Carey move wood chips during a clean up at Gill Creek Park. 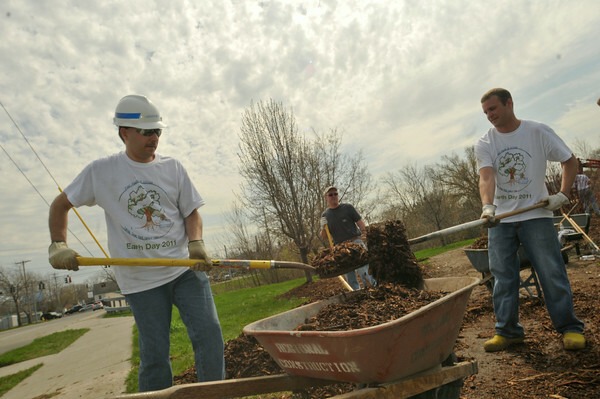 More than 40 National Grid employees will be returned to the park for the second time in three years to continue its efforts to beautifying the public park. Steve Brady, also of National Grid, is pictured center.